Coin counter and sorter from Scaletec. 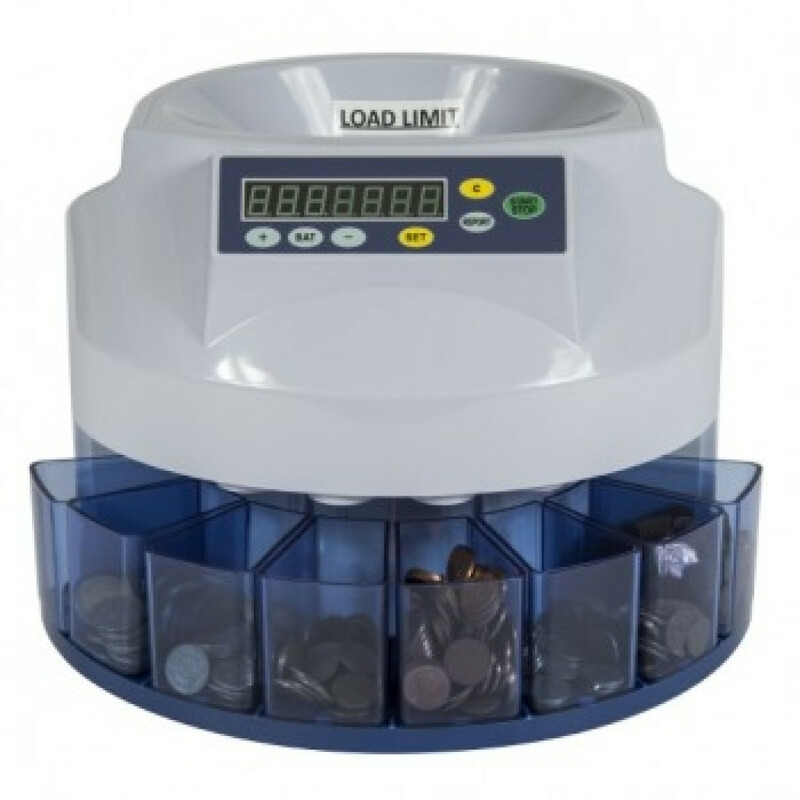 The COI020 is a light duty money counting machine that significantly reduces time spent on counting and sorting coins, and can be used to prepare floats, count and sort mixed coins, a well as display total values of coins. This machine can be pre-configured to batch coins and display the individual number of coins in order to reduce manual counting errors. The COI money counter features a large 7 digit LED display, a receiving slot capacity of 80-150 coins and a fast and accurate counting speed up to 216 units per minute. Ideal for amusement park arcades, finance offices, as well as counting till floats in supermarkets and other commercial stores. If you require more information about the COI money counter please contact us. Retail/ shops/ supermarkets: Can be used for more accurate counting of checkout till floats. Amusement arcades: Used for counting batches of small coins and change to a certain amount which can then be placed into arcade machines. Betting shops: Great choice for fast and efficient counting of change in betting machines when collecting. Accountants/ finance: Perfect for professional finance departments requiring large amounts of coins to be sorted quickly. Banks: Banks require money counters and sorters for counting and organising coins into specific amounts that can then be bagged and deposited. COI020 light duty money counter from Scaletec. Fast and accurate money counting machine for coutning and sorting mixed coins and preparing floats. Displays total value and individual number of coins counted with pre-set batch coin counting. Slot capacity 80-150 coins with counting speed up 216 units per minute. Large 7 digit LED display.